yep, we all keep hoping. Didn't Funko do a line of movie monsters around 3 years ago? When Funko had the Reaction line they did a set of Universal Monsters; Frankenstein, Dracula, Bride, Creature, Invisible Man, Wolfman and The Mummy. The sculpts were very generic and for me all but The Mummy and the Wolfman were passes. This line looks much better, I'm a big fan of Super7. I think the best possible outcome is that Super7 is successful in getting the license. 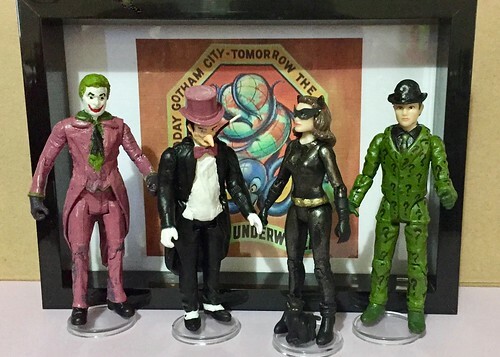 a wave 2 or a way to get a Joker, Penguin, and Riddler? Were these really sculpted and never released? Those look great. What stands are you using? The ones I find are bigger around than I would like, making it hard for the figures to be centered nicely on the stand. Thanks! I got mine on eBay "Buy it now". In bags of 20. They are "Star Stands Type 1", made to fit the original Kenner "Star Wars" figures. They work well with the Funko lines and those later ReActions with holes. Mezco is doing 3 ¾ “ figs of Hanna Barbera properties, Space Ghost for one. 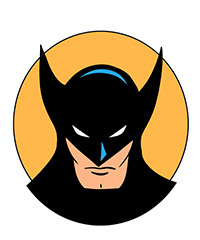 If the line does well they have a license on the 66 Batman for the caricature figure so who knows? 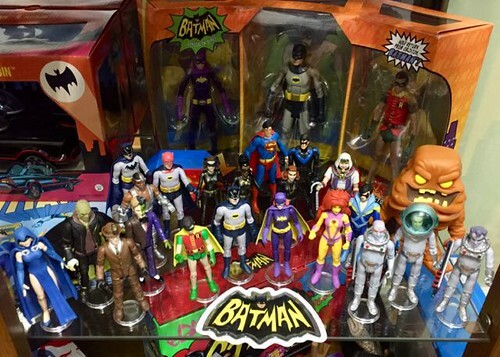 Would love to see them get Batman '66 (and they want it too).